We are a South Jersey residential mover (household moving company) serving Camden, Gloucester & Burlington County NJ and Jersey Shore. Moving can be very stressful and we at America's Best Moving understand that. Our highly professional and friendly staff takes extra care to make your moving day stress-free. Leave all the hassle of packing and safely transporting your belongings to us, so that you're free to take care of all the other important things. From the consulting staff to the trained movers, every member of our team take pride in what they do and strive to make things easier for you. Our experience allows us to provide you quality service that's unmatched. Our moving services are personalized to your individual needs. 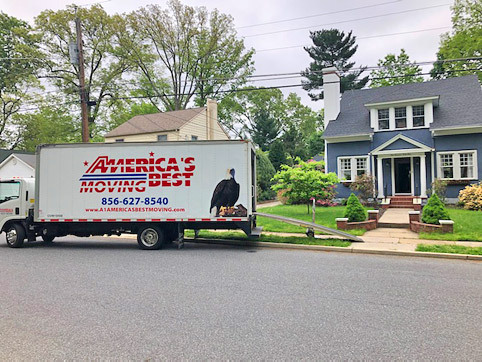 Whether you need to move a heavy and fragile item like a piano to the other part of town or just want your belongings moved across the street, if you need your household items packed, if you need furniture or a pool table moved... America's Best Moving is well prepared and equipped to do the job. What's more, our prices are highly affordable. Our staff pays great attention to every aspect of your moving such as dates and timings. You can always rely on us to stick to a schedule and complete a move on time.